Your skin endures a lot. Every day, natural (intrinsic) and environmental (extrinsic) triggers change its structure from inside and out. 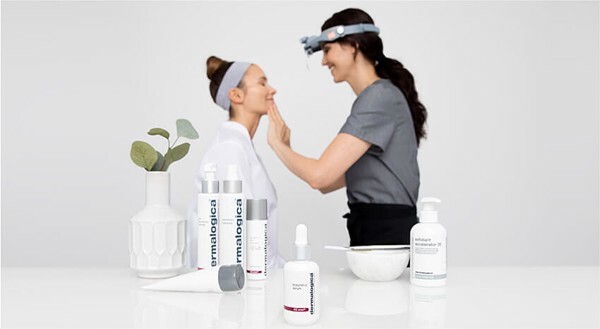 Over time these factors lead to the accumulation of molecular damage in the skin, ultimately resulting in premature signs of aging like hyperpigmentation, fine lines and wrinkles. Let’s take a closer look at how each of these triggers affects skin – and what you can do about them. Together these triggers can cause uneven pigmentation, wrinkles, loss of elasticity and other signs of aging. Here’s how you can prevent that! • Make healthy choices like eating a balanced diet, limiting alcohol, and not smoking. • Fight back: antioxidants like Vitamin C neutralize damaging molecules, helping the skin defend itself against stressors and repair existing damage. For an ultra-potent boost, try a serum like new BioLumin-C Serum!